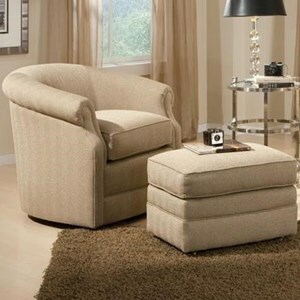 Bring traditional style into your home with this swivel chair. Rolled scooped arms and a barrel back give this piece a classic look, while a thick box cushion provides plenty of soft comfort. 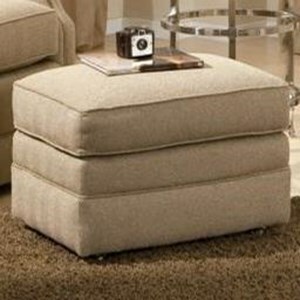 Pair with the matching ottoman for a great way to relax your legs. The 820 Traditional Swivel Chair with Barrel Back and Rolled Scooped Arms by Smith Brothers at Wayside Furniture in the Akron, Cleveland, Canton, Medina, Youngstown, Ohio area. Product availability may vary. Contact us for the most current availability on this product. Browse other items in the 820 collection from Wayside Furniture in the Akron, Cleveland, Canton, Medina, Youngstown, Ohio area.